In our family of polyol ester, you find high purity dipentaerythritol, pentaerythritol and trimethylolpropane esters for use in applications where thermal stability, high viscosity index and lubricity are essential. Typical usages include raw material for spin finishers and oiling agents, lubricants, lubricating oil, and as jet engine lubricants. The term "polyol esters" is short for neopentyl polyol esters which are made by reacting monobasic fatty acids with polyhedric alcohols having a "neopentyl" structure. The unique feature of the neopentyl structure of polyol alcohols molecules is the fact that there are no hydrogens on the beta-carbon. As a result, polyol esters usually have added polarity, reduced volatility and enhanced lubricity characteristics. This makes polyol esters ideally suited for the higher temperature applications where the performance of diesters and PAOs may fade. Hatco uses many different acids and alcohols for manufacturing polyol esters and an even greater number of permutations are possible due to the multiple ester linkages. The difference in ester properties as they relate to the alcohols are primarily those related to molecular weight such as viscosity, pour point, flash point, and volatility. The versatility in designing these fluids is mainly related to the selection and mix of the acids esterified onto the alcohols. The major application for polyol esters is jet engine lubricants where they have been used exclusively for more than 30 years. In this application, the oil is expected to flow at -54 C, pump readily at -40 C, and withstand sump temperature approaching 200 C with drain intervals measured in years. Only polyol esters have been found to satisfy this demanding application. 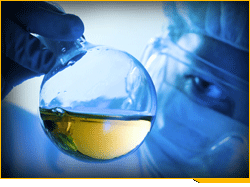 Polyol esters are also the ester of choice for blending with PAOs in passenger car motor oils. 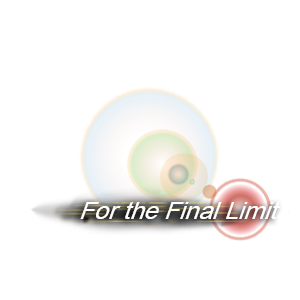 This application reduces fuel consumption and lowers volatility in modern specifications. They are used in 2-cycle oils for the same reasons plus biodegradability. Polyol esters are used extensively in synthetic refrigeration lubricants due to their miscibility with non-chlorine refrigerants. They are also widely used in a variety of very high temperature applications such as industrial oven chains, stationary turbine engines, high temperature grease, fire resistant transformer coolants, fire resistant hydraulic fluids, and textile lubricants. For more information about our extensive line of trimethylolpropane, pentaerythritol esters and dipentaerythritol, we encourage confidential consultation with our technically trained Business Managers who can guide you to the best products or development programs. Given of the complexity involved in balancing the physical, chemical, and performance characteristics of our extensive range of ester products with the exact application and market needs, this preliminary consultation allows for the selection of the best product based on properties determined by you or defined by your application. The primary benefits include extended life, higher temperature operation, reduced maintenance and downtime, lower energy consumption, reduced smoke and disposal, and biodegradability. The oxidation resistance is extra-powerful, low volatility, acidic material’s quantity produced are less, even under high temperature will not easily generate carbon or rubber/paint, product will not easily accumulate dirt when deteriorating. Its high temperature stability and detergent performance is excellent, Superelevation lubricating. The vapor character is low, on the surface of two types of metal is easy to absorb Polar molecule so to generate protective film. The American Petroleum Institute (API) sets minimum for performance standards for lubricants. Motor oil is used for the lubrication, cooling, and cleaning of internal combustion engines. Motor oil may be composed of a lubricant base stock only in the case of non-detergent oil, or a lubricant base stock plus additives to improve the oil's detergency, extreme pressure performance, and ability to inhibit corrosion of engine parts. Lubricant base stocks are categorized into five groups by the API. Group I base stocks are composed of fractionally distilled petroleum which is further refined with solvent extraction processes to improve certain properties such as oxidation resistance and to remove wax. Group II base stocks are composed of fractionally distilled petroleum that has been hydrocracked to further refine and purify it. Group III base stocks have similar characteristics to Group II base stocks, except that Group III base stocks have higher viscosity indexes. Group III base stocks are produced by further hydrocracking of Group II base stocks, or of hydroisomerized slack wax, (a byproduct of the dewaxing process). Group IV base stock are polyalphaolefins (PAOs). Group V is a catch-all group for any base stock not described by Groups I to IV. Examples of group V base stocks include polyol esters, polyalkylene glycols (PAG oils), and perfluoropolyalkylethers (PFPAEs). Groups I and II are commonly referred to as mineral oils, group III is typically referred to as synthetic (except in Germany and Japan, where they must not be called synthetic) and group IV is a synthetic oil. Group V base oils are so diverse that there is no catch-all description. Polyol ester basestocks have several excellent performance properties, including thermal stability, super-high VI and fire resistance. Of the base oils mentioned in this column, it is probably the best choice for very high-temperature applications. The two most common applications for polyol ester are fire-resistant hydraulic fluids and jet engine oils. They can be used in engine oils and compressor applications, as well. The negative attributes are the same as those for diester. The term "polyol esters" is short for neopentyl polyol esters which are made by reacting monobasic fatty acids with polyhedric alcohols having a "neopentyl" structure. The unique feature of the neopentyl structure of polyol alcohols molecules is the fact that there are no hydrogens on the beta-carbon. Since this "beta-hydrogen" is the first site of thermal attack on diesters, eliminating this site substantially elevates the thermal stability of polyol esters and allows them to be used at much higher temperatures. In addition, polyol esters usually have more ester groups than the diesters and this added polarity further reduces volatility and enhances the lubricity characteristics while retaining all the other desirable properties inherent with diesters. This makes polyol esters ideally suited for the higher temperature applications where the performance of diesters and PAOs begin to fade. Each of the alcohols shown above have no beta-hydrogens and differ primarily in the number of hydroxyl groups they contain for reaction with the fatty acids. The difference in ester properties as they relate to the alcohols are primarily those related to molecular weight such as viscosity, pour point, flash point, and volatility. The versatility in designing these fluids is mainly related to the selection and mix of the acids esterified onto the alcohols. The normal or linear acids all contribute similar performance properties with the physicals being influenced by their carbon chain length or molecular weight. For example, lighter acids such as valeric may be desirable for reducing low temperature viscosity on the higher alcohols, or the same purpose can be achieved by esterifying longer acids onto the shorter alcohols. While the properties of the normal acids are mainly related to the chain length, there are some more subtle differences among them which can allow the formulator to vary such properties as oxidative stability and lubricity. Branched acids add a new dimension since the length, location, and number of branches all impact the performance of the final ester. For example, a branch incorporated near the acid group may help to hinder hydrolysis while multiple branches may be useful for building viscosity, improving low temperature flow, and enhancing oxidative stability and cleanliness. The versatility of polyol esters is best understood when one considers that multiple acids are usually co-esterified with the polyol alcohol allowing the ester engineer to control multiple properties in a single ester. Indeed single acids are rarely used in polyol esters because of the enchanced properties that can be obtained through co-esterification. Polyol esters can extend the high temperature operating range of a lubricant by as much as 50 - 100°C due to their superior stability and low volatility. They are also renowned for their film strength and increased lubricity which is useful in reducing energy consumption in many applications. The only downside of polyol esters compared to diesters is their higher price; they are generally 20 - 70% higher on a wholesale basis. The major application for polyol esters is jet engine lubricants where they have been used exclusively for more than 30 years. In this application, the oil is expected to flow at -54°C, pump readily at -40°C, and withstand sump temperature approaching 200°C with drain intervals measured in years. Only polyol esters have been found to satisfy this demanding application and incorporating even small amounts of diesters or PAOs will cause the lubricant to fail vital specifications. 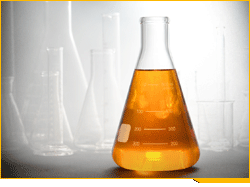 Polyol esters are also the ester of choice for blending with PAOs in passenger car motor oils. This change from lower cost diesters to polyols was driven primarily by the need for reduced fuel consumption and lower volatility in modern specifications. They are used in 2-cycle oils as well for the same reasons plus biodegradability. In industrial markets polyol esters are used extensively in synthetic refrigeration lubricants due to their miscibility with non-chlorine refrigerants. They are also widely used in a variety of very high temperature applications such as industrial oven chains, tenter frames, stationary turbine engines, high temperature grease, fire resistant transformer coolants, fire resistant hydraulic fluids, and textile lubricants. In general, polyol esters represent the highest performance level available for high temperature applications at a reasonable price. Although they cost more than many other types of synthetics, the benefits often combine to make this chemistry the most cost effective in severe environment applications. The primary benefits include extended life, higher temperature operation, reduced maintenance and downtime, lower energy consumption, reduced biodegradability. Synthetic lubricants were first synthesized, or man-made, in significant quantities as replacements for mineral lubricants (and fuels) by German scientists in the late 1930s and early 1940s because of their lack of sufficient quantities of crude for their (primarily military) needs. A significant factor in its gain in popularity was the ability of synthetic-based lubricants to remain fluid in the sub-zero temperatures of the Eastern front in wintertime, temperatures which caused petroleum-based lubricants to solidify due to their higher wax content. The use of synthetic lubricants widened through the 1950s and 1960s due to a property at the other end of the temperature spectrum, the ability to lubricate aviation engines at temperatures that caused mineral-based lubricants to break down. In the mid 1970s, synthetic motor oils were formulated and commercially applied for the first time in automotive applications. The same SAE system for designating motor oil viscosity also applies to synthetic oils. Instead of making motor oil with the conventional petroleum base, "true" synthetic oil base stocks are artificially synthesized. Synthetic oils are derived from either Group III mineral base oils, Group IV, or Group V non-mineral bases. True synthetics include classes of lubricants like synthetic esters as well as "others" like GTL (Methane Gas-to-Liquid) (Group V) and polyalpha-olefins (Group IV). Higher purity and therefore better property control theoretically means synthetic oil has good mechanical properties at extremes of high and low temperatures. The molecules are made large and "soft" enough to retain good viscosity at higher temperatures, yet branched molecular structures interfere with solidification and therefore allow flow at lower temperatures. Thus, although the viscosity still decreases as temperature increases, these synthetic motor oils have a much improved viscosity index over the traditional petroleum base. Their specially designed properties allow a wider temperature range at higher and lower temperatures and often include a lower pour point. With their improved viscosity index, true synthetic oils need little or no viscosity index improvers, which are the oil components most vulnerable to thermal and mechanical degradation as the oil ages, and thus they do not degrade as quickly as traditional motor oils. However, they still fill up with particulate matter, although at a lower rate compared to conventional oils, and the oil filter still fills and clogs up over time. So, periodic oil and filter changes should still be done with synthetic oil; but some synthetic oil suppliers suggest that the intervals between oil changes can be longer, sometimes as long as 16,000-24,000 km (10,000–15,000 mi). With improved efficiency, synthetic lubricants are designed to make wear and tear on gears far less than with petroleum-based lubricants, reduce the incidence of oil oxidation and sludge formation, and allow for "long life" extended drain intervals. Today, synthetic lubricants are available for use in modern automobiles on nearly all lubricated components, potentially with superior performance and longevity as compared to non-synthetic alternatives. Some tests have shown that fully synthetic oil is superior to conventional oil in many respects, providing better engine protection, performance, and better flow in cold starts than petroleum-based motor oil. PolyEster oils have by far the best performance in extreme high temperatures, and are the preferred oil in old "air- cooled" Nortons. I put "air-cooled" in parenthesis as one could also call these engines "prayer- cooled." The Norton 750 commando will destroy a Group I oil fill in 75 miles on a 100 degree day. No kidding. The Brits really did not understand until about 1990 that some of us live in places where the temperatures get over 80 degrees and cities are more than 10 miles apart. If you love those old British twins, you need to find a good supply for oil. Diesters, or dibasic acid esters, were developed during World War II and are the reaction product of long-chain alcohols and carboxylic acids. Historically, they have been effective as reciprocating compressor lubricants due to their low coking tendency at temperatures of 400°F or higher. They also provide excellent solvency and detergency. The aggressiveness of diesters toward elastomers, seals and hoses has limited the usefulness of these fluids. Newer fluids, such as polyol esters, meet the needs of many applications formerly filled by diesters. Hmmm. That’s a tough question. The answer is not as simple as “yes” or “no”. A better question would be: Is synthetic oil the best choice for this application? All types of synthetic base oils can be the best choice for certain situations. The trick is identifying those situations where they make sense or provide value. There are plenty of potential benefits to using synthetic oil vs. mineral oil, but that doesn’t mean that synthetics are necessarily better. In order to get value from using a higher-priced synthetic oil, you must ensure that you are utilizing the potential improved performance of those products; and to make those determinations, you need to understand the conditions that allow synthetics to provide that value. To more fully understand this issue, first consider the major advantages of common types of synthetic base oils and then identify the conditions for which these advantages become benefits. For the sake of brevity, I will not discuss all synthetics, but rather focus on the most common ones – PAOs (polyalphaolefins), PAGs (polyalkaline glycol), diester and polyol ester. The negative attributes of PAOs are the price and poor solubility. The low inherent solubility of PAOs creates problems for formulators when it comes to dissolving additives. Likewise, PAOs cannot suspend potential varnish-forming degradation by-products, although they are less prone to create such material. PAG base oils have several unique properties that allow them to work very well in certain applications. In general, they have excellent oxidative and thermal stability, very high VI, excellent film strength and an extremely low tendency to leave deposits on machine surfaces. The low deposit-forming tendency is really due to two properties – the oil’s ability to dissolve deposits and the fact that the oil burns clean. So when they are exposed to a very hot surface or subjected to micro-dieseling by entrained air, PAGs are less likely to leave residue that will form deposits. PAGs may also be the only type of base oil with significantly lower fluid friction, which may allow for energy savings. The other unique property of PAGs is the ability to absorb a great deal of water and maintain lubricity. There are actually two different types of PAGs – one demulisifies and the other absorbs water. The latter can be very useful if you have a compressor that cannot be stopped that is continually contaminated with large amounts of water. The most common applications for PAGs are compressors and critical gearing applications. The negatives of PAGs are their very high cost and the potential to be somewhat hydrolytically unstable. The properties of diester are somewhat similar to that of PGs. It has excellent oxidative and thermal stability, very high VI and excellent solubility. This excellent solubility makes it a good choice for reciprocating compressors, where valve deposits can be a huge problem. Another common application for diester is in synthetic engine oil. 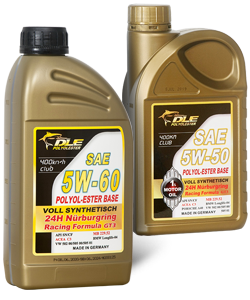 It is often used as an additive with PAO basestocks to provide the necessary solvency for the engine oil’s large additive package. As a side effect, the synthetic engine oil will have excellent detergency. The negative attributes of diester are the high price and poor hydrolytic stability. There are many applications for which synthetic oils provide solutions to tough operating conditions. I have mentioned a few of those here, but there are others. To me, it is not so important to use the “best” quality lubricant in every application, but rather to use the “right” quality. Many people waste money on expensive products that for a number of reasons don’t improve reliability or anything else. One other important thing to remember is that I am discussing the properties of base oils, not finished lubricants. It is quite possible for a finished lubricant using a mineral basestock to offer better performance than a similar product utilizing a synthetic. So, back to the original question, is synthetic oil better? The answer is yes … and no … or maybe. You’ll have to decide.